Richard Hastings Ellis was born on 19 July 1919 in Laurel, DE, where he completed elementary and high school. He received his Bachelor of Arts Degree in History from Dickinson College, Carlisle, PA, in 1941 and Juris Doctor degree from Dickinson School of Law in 1949. Ellis entered active military duty in September 1941 as an aviation cadet at Maxwell Field, AL. He received his commission as a Second Lieutenant in the U.S. Army Air Forces, and his pilot wings, at Turner Field, GA, in April 1942. During World War II he served with the 3rd Bombardment Group in Australia, New Guinea and the Philippines, and flew more than 200 combat missions in the Western Pacific area. He served as a pilot, Commander of the 90th Bombardment Squadron, Group Operations Officer and from September 1944, as Group Commander. In April 1945, Ellis was assigned as Deputy Chief of Staff, U.S. Far East Air Forces, in the Philippine Islands and Japan. He requested release from active duty, became a member of the Air Force Reserve and entered Dickinson School of Law in 1946. He graduated in 1949 and, after admission to the Delaware Bar, practiced law in Wilmington, DE. He was recalled to active duty in October 1950 and assigned first to Headquarters Tactical Air Command, Langley Air Force Base, VA; then as Deputy for Operations, 49th Air Division, Sculthorpe, England; and later as Chief, Air Plans and Operations Section, Supreme Headquarters Allied Powers Europe (SHAPE). From January 1956 to May 1958, Ellis was Deputy Chief of Staff, Operations, Headquarters Nineteenth Air Force, Foster Air Force Base, TX. He was then assigned to the Directorate of Plans, Headquarters U.S. Air Force, Washington, DC, first as Chief, Weapons Plans Branch, then as Assistant Director of Plans for War Plans, and later as Assistant Director of Plans, Joint Matters. In July 1961, Ellis became Executive to the Chief of Staff, USAF. From August 1963 to June 1965, he Commanded the 315th Air Division, Tachikawa Air Base, Japan. He returned to Washington and served as Deputy Director, J-5 (Plans and Policy), with the Joint Staff. In August 1967 he returned to the Air Staff, this time as Director of Plans. He assumed Command of 9th Air Force with headquarters at Shaw Air Force Base, SC, in September 1969. He was appointed Vice Commander-in-Chief of U.S. Air Forces in Europe in September 1970. 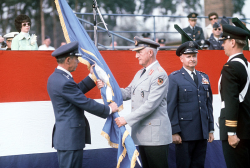 Ellis became Commander, 6th Allied Tactical Air Force, with headquarters at Izmir, Turkey, in April 1971; and Commander of Allied Air Forces, Southern Europe, with headquarters at Naples, Italy, in June 1972. He assumed additional duty as Commander, Sixteenth Air Force, Torrejon Air Base, Spain, in May 1973. 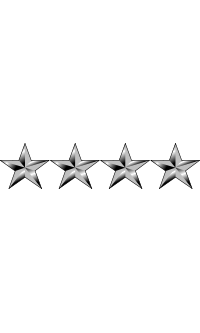 On 30 September 1973, Ellis was promoted to the rank of four-star General and assigned to serve as Vice Chief of Staff, U.S. Air Force; he served from November 1973 to August 1975. He was then appointed Commander, Allied Air Forces Central Europe, and Commander-in-Chief, U.S. Air Forces in Europe. He assumed Command of Strategic Air Command in August 1977. Ellis was rated as a Command Pilot and earned the Master Missile and the Parachutist badges. 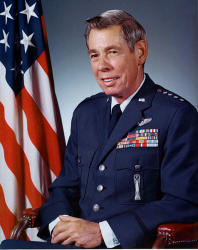 General Ellis retired from the Air Force on 1 August 1981. In World War II, Ellis was awarded the Grand Officer of the Italian Republic medal. General Ellis received the Korean Order of National Security Merit, First Class (Tong Il Jang) on 13 May 1981, at the Korean Ministry of National Defense in Seoul. This award, the highest honor given by the Republic of Korea to a foreign military leader, was presented to the General for his important contributions to national defense of the Republic of Korea. The President of the United States of America, authorized by Act of Congress, July 9, 1918, takes pleasure in presenting the Distinguished Service Cross to Lieutenant Colonel (Air Corps) Richard Hastings Ellis, United States Army Air Forces, for extraordinary heroism in connection with military operations against an armed enemy while serving as Pilot of an A-20 Bomber in the 3d Bombardment Group (L), FIFTH Air Force, while participating in a bombing mission on 5 April 1945, against enemy surface targets in the Southwest Pacific Area. On that date, Lieutenant Colonel Ellis was the lead pilot of a flight of three A-20 type planes en route to rendezvous with eighteen B-25's for a strike on an enemy convoy comprising of one transport and five warships. A rendezvous was made with the fighter cover provided, but the B-25's, unable to locate the convoy, did not appear. Though faced with heavy odds and lacking sufficient planes to keep the warships engaged, Colonel Ellis ordered the attack. Coming in through intense anti-aircraft fire, he flew directly over the leading warship, attacked the transport at minimum altitude, and sank it with two direct hits. During this action his two wingmen attacked and scored a near miss on a flanking vessel. In this flight, possibly the longest ever made by A-20 aircraft, Colonel Ellis accomplished his mission without losses. Through his gallant and intrepid actions in the face of grave danger, he personally sank a vessel carrying troops of the enemy. The gallantry and zealous devotion to duty displayed by Lieutenant Colonel Ellis on this occasion have upheld the highest traditions of the military service and reflect great credit upon himself, the 5th Air Force, and the United States Army Air Forces. • Awarded an honorary doctor of science degree from Dickinson College in 1961. • Awarded an honorary doctor of laws degree from Dickinson School of Law in 1974. • Awarded an honorary doctor of laws degree from the University of Akron in 1979. • Awarded an honorary doctor of laws degree from the University of Nebraska, Omaha, in May 1981. • Awarded the State of Delaware Distinguished Service Medal by Governor Walter W. Bacon in 1946. • In September 1980 he was presented the Air Force Association's highest honor, the H.H. Arnold Award for significant contributions to national defense. As the recipient of this award, he was also named as the Association's National Aerospace Man of the Year. General Richard Hastings Ellis died on 28 March 1989 at the age of 69. He is buried at Arlington National Cemetery in Arlington, VA.